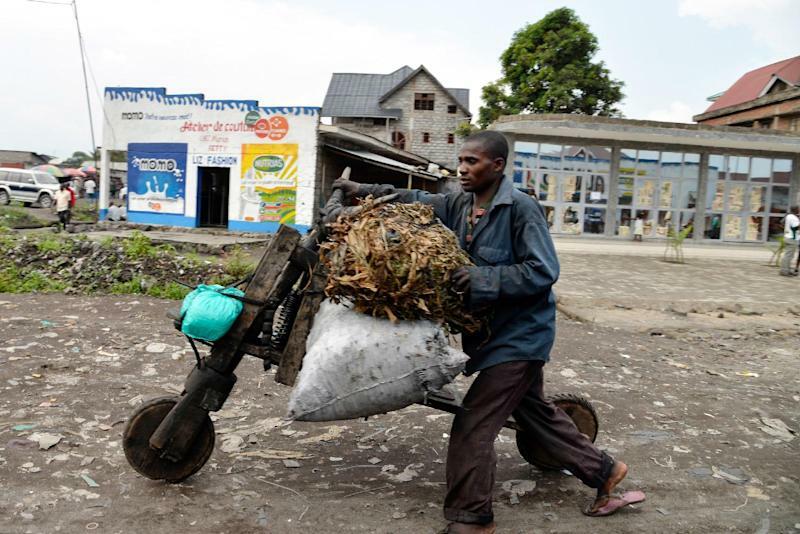 Goma (DR Congo) (AFP) - What do you do when you need to deliver several hundred pounds of potatoes, 150 stalks of sugar cane, 30 eucalyptus saplings and eight sacks of coal, without motorised transport? 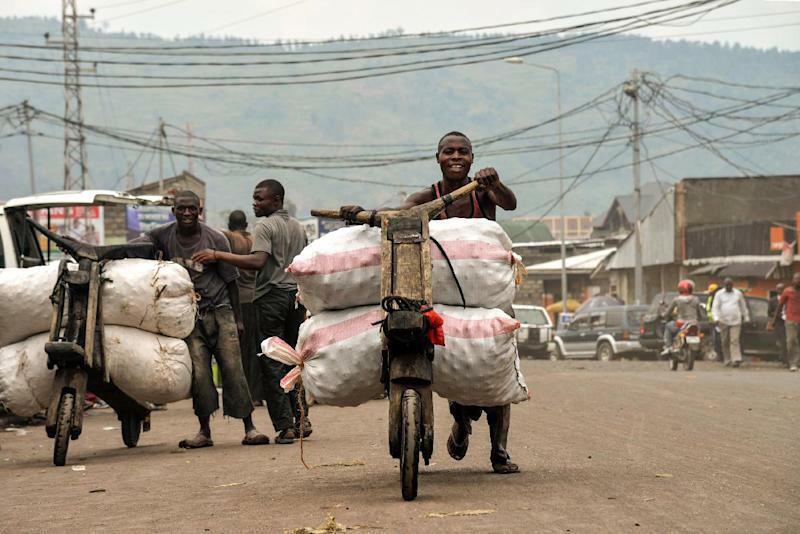 They're operated by a group of 1,500 proud, often burly men who not only have their own union but saw a giant, gold-coloured statue erected in their honour a few years ago in this capital of North Kivu province, on the border with Rwanda. "The tshukudu is our whole life," said driver Damas Sibomana. 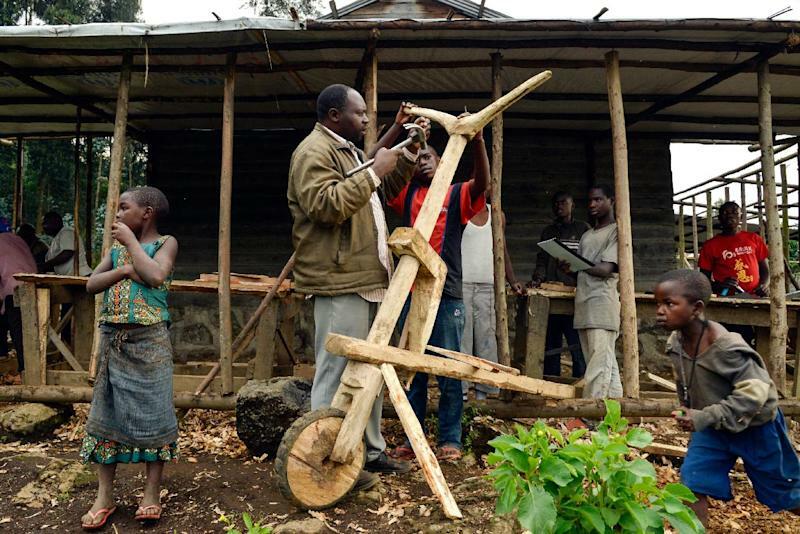 Their vehicles, pronounced "chookoodoo", measure about two metres (more than six feet) long, have wide handlebars and a raised front wheel. They balance improbably large loads, as the tshukudeurs -- as the drivers are known -- push their vehicles along almost as much as they "drive" them. Many drivers live outside the city and their day begins by transporting agricultural products grown in the verdant hills to the north, which feed the city's markets. The good news? It's downhill. Jean-Marie Firiki gets up at 4:00 am but his descent stops in Kibumba, 30 kilometres (19 miles) to the north of Goma, which boasts of being the tshukudu's birthplace. The 35-year-old works as a tshukudeur at dawn and builds the machines during the day. "A decent tshukudu costs $50 (36 euros)," Firiki said, "but the cost of a beautiful one can be $80-100" -- quite a sum in DR Congo, where the majority of people live in extreme poverty. There are no machines in the workshop that Fikiri shares with other craftsmen. Like most of the country Kibumba has no electricity supply. The men work the wood -- here it's eucalyptus -- with a handsaw, a chisel, a plane and some sandpaper. It takes two days for a craftsman to make one scooter. "Our fathers would sell potatoes and tobacco at a Rwandan market several kilometres away," he said. "They used wheelbarrows but these where inefficient. This is where the design came from -- inspired by bicycles." In early evening after a hard day's work the scooter takes on another role: courting. The roads are full of young drivers taking their girlfriends out for a ride, both standing on the tshukudu as the man, in back, scoots it along. The profession is held in high esteem. To have a daughter marry a tshukudeur means she "will not die of hunger", said local historian Dany Kayeye.